MyTaxi, the world’s first taxi hailing app, was founded by two European entrepreneurs Niclaus Mewes and Sven Külper in June 2009. Transportation was not easy back in the days, when these two came up with this innovative idea of a taxi mobile app. Now, MyTaxi app has over 10 million users and over 100,000 drivers globally. It is Europe’s biggest online taxi booking software that serves across 100 European cities. Along with 'App of the Year, 2012' by App Store and 'Best App: Global Vision Awards 2011', MyTaxi has won numerous awards for being the pioneer of online taxi app development. As per the reports, MyTaxi had 75% more growth in 2018 as compared to 2017. The app also witnessed 80% growth in airport taxi requests last year, making it the favorite airport taxi app. Transportation app like Mytaxi and its competitors such as Uber, Lyft, etc. have seen rapid growth in recent years. According to a report from Business Insider, the investment in on demand transportation in the past 12 months is triple the amount of previous 4 years combined. These stats are enough to show how big the transportation industry is and how startups can get the most out of it with a taxi app clone in many areas around the globe. 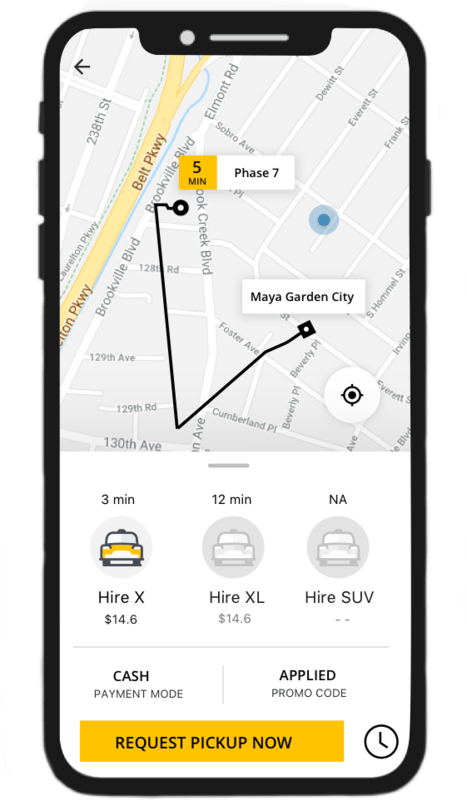 Taxi booking has become a significant part of the everyday transportation but there are still places in many countries that need a MyTaxi app clone. A startup that wants to flourish an on demand transportation service, can do this with a taxi booking app builder. But MyTaxi, Lyft, or Uber like app development requires an innovative and unorthodox approach. We are top mobile app development company assisting entrepreneurs who want to reap the benefits from the billion-dollar market of on demand apps. If you are eyeing for a taxi app builder for a MyTaxi clone then you are at the right place. Get the best taxi app development cost from our team of expert developers with years of experience in e hailing apps. Customer can book a taxi anytime from anywhere with just one tap on the Passenger App. Customers will receive real-time notifications regarding latest promotional coupons, their cab’s location, and estimated arrival time at the pick-up spot. Customers can track driver in real-time after booking a taxi with maps integrated in the passenger app. 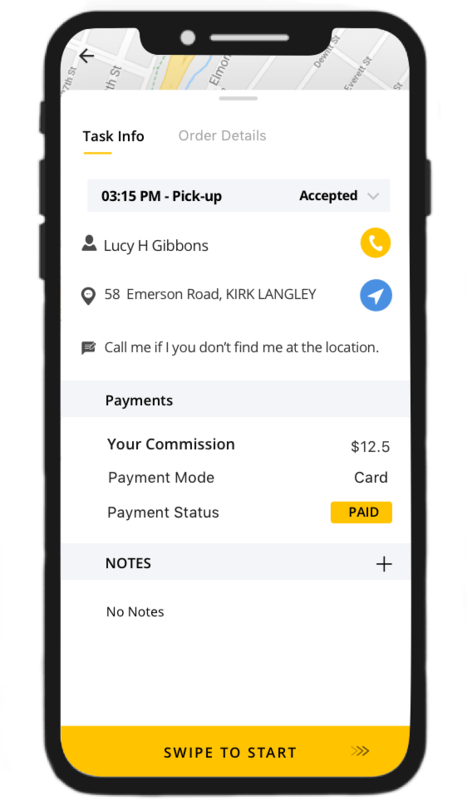 Customers get multiple options for in-app ride payment including debit/credit card payment, Net Banking, Cryptocurrencies, and other wallets. Customers can choose to pay in Cash after the ride. When passengers love your ride booking app and services, they can share it with their family and friends with referral programmes in the app. Customers can rate a ride and leave feedback on that particular ride after the ride completion with rating and feedback system. Drivers can easily accept or reject ride requests from customers as per their convenience with Driver App. Making it easy to find the riders, the app comes with integrated maps to track customer location and reach the exact pickup spot. In case of multiple routes to a single destination, the Driver App shows the best-optimized route to the driver. This helps drivers in offering on-time services to the passengers and keep them happy. Using this simple On/Off toggle button, drivers can let customers know whether they are available to accept ride requests or not. Drivers can get a detailed summary of their total income from the trips they have completed in this app. They can also open payment details of specific rides. Operation managers of certain areas can send real-time notifications to the customers of that area for area-specific discount coupons or special offers on local festivals. Managers can easily add or modify driver info in the database including their name, ID proofs, contact details, etc. They can also add and update vehicle details such as registration certificate, pollution card, insurance etc. Operation Managers can easily add new drivers or modify the previous driver list through driver management feature. The Admins get the option to view and manage all the ride-requests coming from the customers through a single panel. The admin panel helps Admins to manage customer profiles and answer their queries and issues. An owner can track every vehicle’s real-time location in the dashboard using the admin panel. Admins can add, modify, or remove driver profiles through driver management feature. It also allows an admin to assign rides to the drivers. 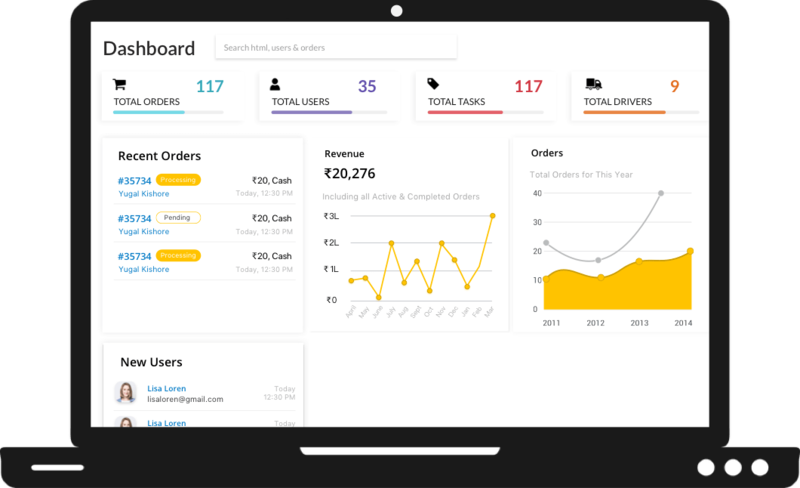 The Admin Panel also offers useful analytics and graphs to track down the business performance and take business-centric decisions in future. Admins get the power to send real-time notifications to drivers as well as customers, informing them about latest offers, discount coupons, etc. Admins have the power to update ride fares depending upon the vehicle type, ride distance, location. Moreover, admin can also update surge charges through admin panel in case of heavy-demand of the vehicles. 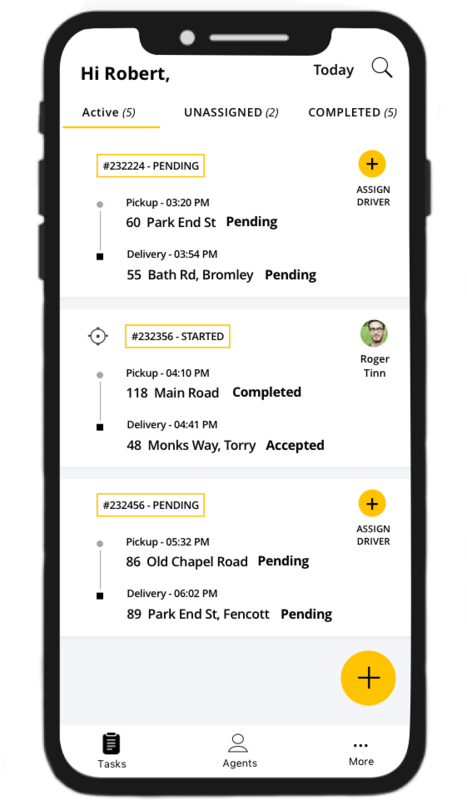 Ready to start your Taxi Dispatch Business?